After leaving university Tim worked in the family security business, installing security alarms and manning the 24/7 Alarms Helpline…so, keeping his calm while his clients lost theirs at 3am with alarms screeching has been great preparation for dealing with tenant and property issues! He spent 5 years working on the installation and maintenance of residential electric gates and he has also renovated more properties than he can count, with dozens of kitchen and bathroom installations under his belt. With his years of experience there are very few maintenance issues to date that he hasn’t come across. 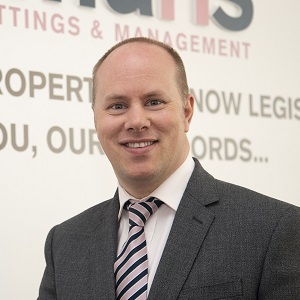 Tim is therefore ideally placed to co-ordinate the Initial Response side of the business – where he assesses maintenance issues then provides advice to the tenants and the Chapmans team on the best approach for resolution. This instrumental support and expertise, helps the team get the right people out first time as often as feasible – in order to sort the issue as quickly and cost effectively as possible. This has the two-fold benefit of keeping the costs down for our landlords as well as keeping our tenants happy. Tim will also take the time to talk a tenant through fixing an issue themselves where and when appropriate, which then removes the need for call outs and ensures the issue is resolved quickly to the tenant’s satisfaction. Cool, calm and collected, Tim is an invaluable member of the team. My Favourite Food – Pasts, Pizza & Pesto!! My Favourite place in Edinburgh – my garage where I can work on my car and motorbike.